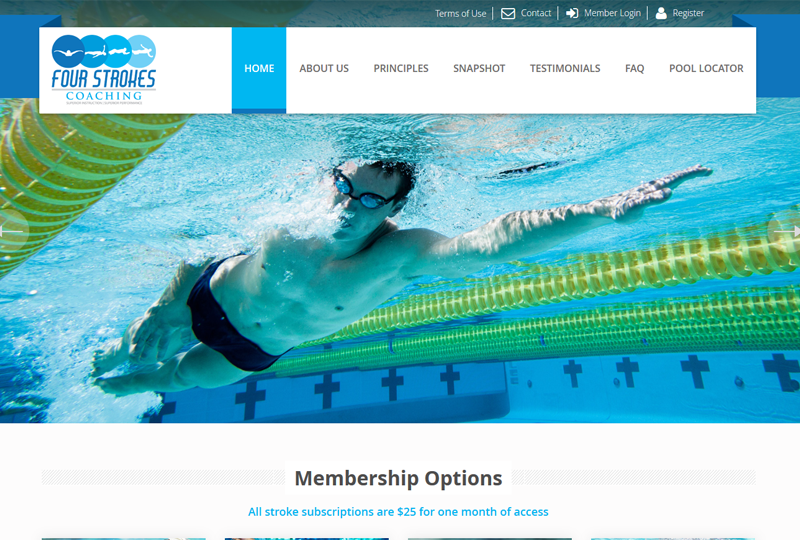 Four strokes coaching is an online website to provide tutorials for the swimming. It provide user with swim workout, interval calculator, swim ratio test, drill videos, gym exercise and other resources. It is developed for the users who already know swimming and wants to improve it without hiring private coach. To learn swimming user need to subscribe for it and require making payment for it via PayPal. FourStroke has chosen us for our ability to develop complex websites and providing efficient solutions with logical approach to the requirements. The website has only single version that is running successfully from the date it was released. We continue to provide expertise and services in support of FourStroke’s ongoing program of website development.